I am not quite sure why it took me such a long time to read a book by Jim Corbett, maybe I wasn’t quite ready to read the accounts of a hunter or maybe I purposefully avoided it, because he was such a well-known author and I wanted to read others. 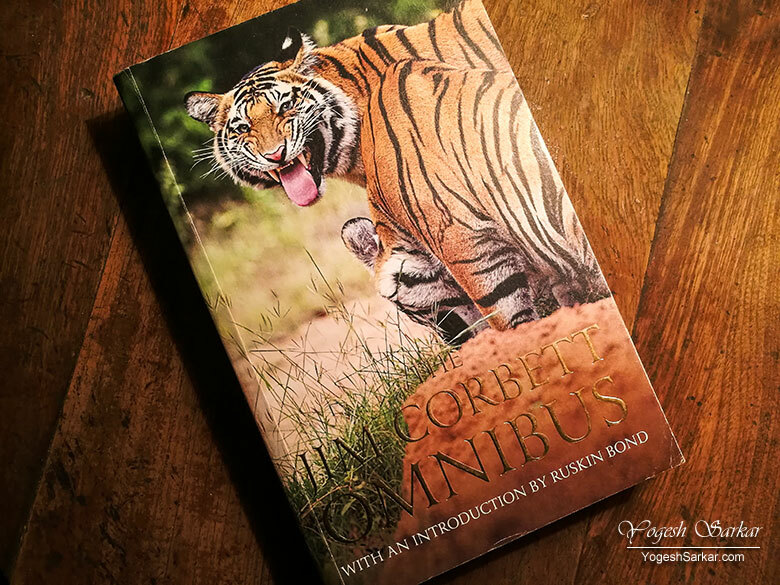 Whatever the reason might have been, reading the first chapter of The Jim Corbett Omnibus made me realize my mistake in having delayed reading books by such an excellent narrator, who possibly had more respect for the Tigers and Leopards he hunts than most conservationists. It is that respect for the wild and the animals, which made him such a prolific hunter. Well, that and the fact that he is completely nuts! After all, it requires a certain level of madness to pursue an animal through the jungle, which is capable of walking into a large hall with dozens of sleeping pilgrims and can then kill and carry off a woman who was sleeping on the other side of the hall, without anyone knowing about it! Or for that matter, face-off an angry man-eating Tigress, charging towards you and holding off till the very end and hoping you do not miss your aim and the Tigress dies with that one shot and doesn’t kill you and those hiding behind you! However, the thing I read with most interest wasn’t the part where he eventually kills the man-eater, rather the parts where he wanders through the forests, making his way to villages far off in the Himalayas, which at that time required several days’ of trekking and nowadays I reach in less than 12 hours in a bus from Delhi! The way Jim describes the landscape around him, helps you imagine you are standing in the midst of it all, only to come back to reality disappointed, knowing, that those places are no longer as pristine and virgin, as they once were. Of course, the accounts of human suffering during the acts and the sheer terror of man-eaters is quite palpable. Something the author is able to describe so vividly, that your heart cries out for those, who had to live under such pathetic conditions. And that is how you feel at some level that killing of those man-eaters was well justified, even though most often than not, they were turned into man-eaters by the act of those very people. In the end, all I can say is, if you haven’t yet read a book by Jim Corbett, then do it ASAP! Irrespective of whether you love animals or hate them, it will help you develop respect for them. And when it comes to the works of Jim Corbett, I guess The Jim Corbett Omnibus is a good place to start.